Where did that lithium come from? We are witnessing a revolutionary change in the way we use and store energy. The rechargeable revolution is well underway, and leading the charge is lithium. Given that the most sophisticated and reliable battery technologies rely on lithium, it’s important to ask where the lithium comes from. The conventional extraction of lithium, through the evaporation of brines, can have significant impacts on water resources and ecology. The conventional process evaporates water from brines in large ponds (thousands of acres), which are expensive to build and maintain. This one-way movement of water from the ground to the atmosphere can result in significant impacts on groundwater as well as land subsidence. Further, residual salt waste is collected and stored in massive salt piles that scar the landscape and present a risk to the environment. Evaporation based lithium processing suffers from poor recovery, typically less than 50%, and is affected by precipitation and other aspects of the weather. The vagaries of weather and climate can therefore impact project economics and time to market. In addition, the high salt environment in and around the evaporation ponds can be toxic to flora and fauna; related leaching, spills, or air emissions can harm communities, ecosystems and food production. In short, the old evaporation technology is expensive, potentially harmful, and does not optimize the resource. 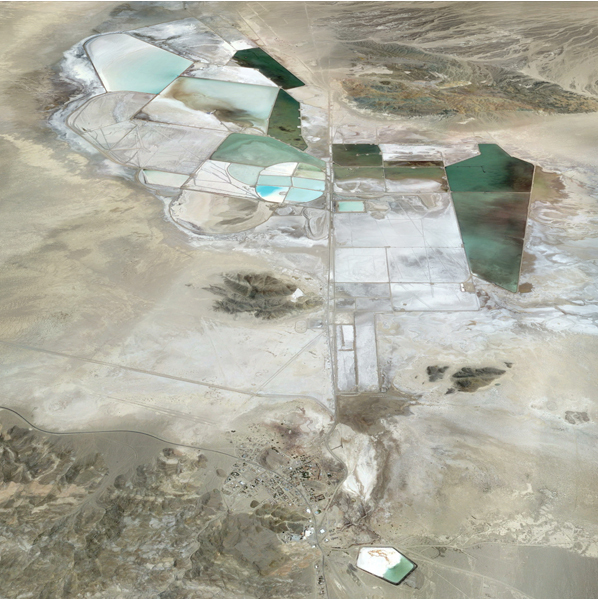 Almost all lithium brine mines built since Silver Peak in 1966 make use of some form of evaporation based processing. Consider the changes in battery technology during that same period of time. Are there opportunities for that sort of innovation in lithium production as well? Can we find better and more sustainable ways to extract and process the raw materials needed for this clean energy revolution? We believe the answer to both questions is a resounding YES. One of Pure Energy’s objectives is to develop and demonstrate an innovative, sustainable and enhanced lithium extraction process as an alternative to the conventional evaporation based technology. There are several candidates for such a breakthrough, most of which are based on some form of selective extraction of lithium from the brine. After researching and evaluating several approaches to the challenge, Pure Energy has advanced through laboratory trials and mini-pilot plant evaluation of some exciting new technology. *Comparative advantages based on Tenova marketing literature and preliminary bench-scale and mini-pilot scale testing of analogs to the Pure Energy brine through TAT’s LIP TM and LiSX TM technologies (See Company news releases dated March 4, 2015, December 13, 2016, and June 26, 2017). The Company has retained an owner’s team rich in process engineering expertise. The team is focused on increasing the effectiveness of the TAT technology and augmenting it where necessary to suit the Clayton Valley brines. During the latter half of 2016, Pure Energy worked through a mini-pilot scale testing program, resulting in a preliminary process flowsheet that could be applicable to a future mine at Clayton Valley (See Company news release dated December 13, 2016). Pure Energy continued its work on the Clayton Valley mineral resource and on the process engineering during 2017, releasing the results of a positive Preliminary Economic Assessment (PEA) in June of 2017 (See Company news release date June 26, 2017). The Clayton Valley Project as described in the PEA would be the first commercial use of solvent extraction technology for recovery of lithium, but solvent extraction has been widely used in the recovery of copper, uranium, nickel, and other metals. The Tenova path to lithium recovery from brine puts solvent extraction for lithium at the heart of the flowsheet, but combines it with a pre-treatment step using membrane filtration and follows it with electrolysis to produce lithium hydroxide. The Company believes after significant testwork that the chemistry of the Clayton Valley brines, having low levels of magnesium and calcium, is most suitable for the Tenova based process flowsheet, which is described in the PEA. Stay tuned and follow Pure Energy Minerals in 2018 as the Company progresses the Clayton Valley Project to a pilot plant in Nevada, in which this proposed new technology can be fully evaluated and test samples of battery grade lithium hydroxide can be produced for potential clients. The latest in lithium and Pure Energy Minerals news.